How to install Cydia iOS 8.4 using TaiG jailbreak on Mac ? 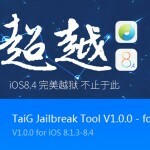 Mac version of TaiG jailbreak for iOS 8.4 – 8.1.3 has released to the public. This is the complete tutorial for how to jailbreak iOS 8.4 using untethered TaiG jailbreak on Mac. Users with iPhone, iPad or iPod devices running iOS 8.4 – iOS 8.1.3 are welcome to jailbreak & install Cydia for their devices with five steps. just follow the instructions are given below to success..
How to install Cydia for iOS 8.4-8.1.3 with TaiG jailbreak on Windows? Step 01 >> Download latest version of TaiG jailbreak tool for Mac on your computer from above links. Step 02 >> Double-click on the downloaded TaiG Jailbreak dmg file to mount. Then, drag and drop it to the Applications folder. Double-click on the TaiG Jailbreak icon to launch it. Step 05 >> Stay connect & wait patiently, it will take some time for the process. After complete the jailbreak process, you will be shown “Jailbreak Succeeded!” massage. This means, you have successfully installed Cydia on your idevice. Now you are able to endless customizing your device with amazing Cydia tweaks & apps. 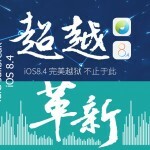 Mac version of TaiG jailbreak for iOS 8.4 – 8.1.3 released.! 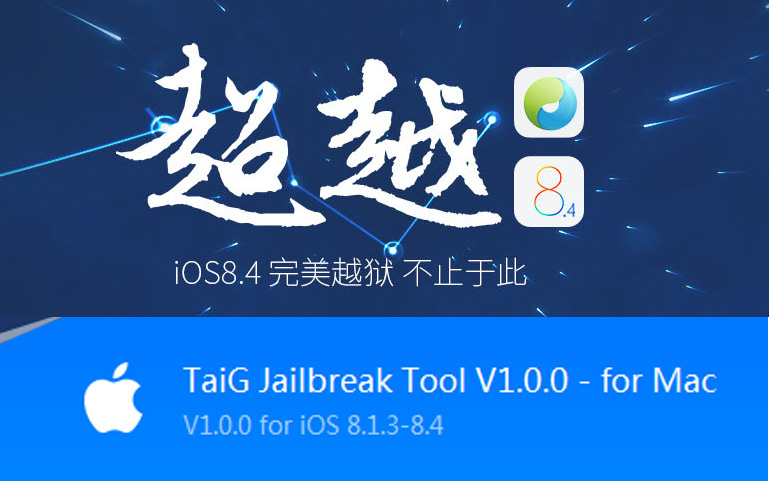 ‹ Mac version of TaiG jailbreak for iOS 8.4 – 8.1.3 released.! We have provided link for Cydia absolute free. But, Cydia is not available to download directly in anywhere. To get Cydia for you device, you should follow jailbreak pathway.